We relish the opportunity to work on any industrial application calling out Quality fabricators and Certified Welders (AWS D1.1). We have worked in various markets and various projects, each with their own challenges. 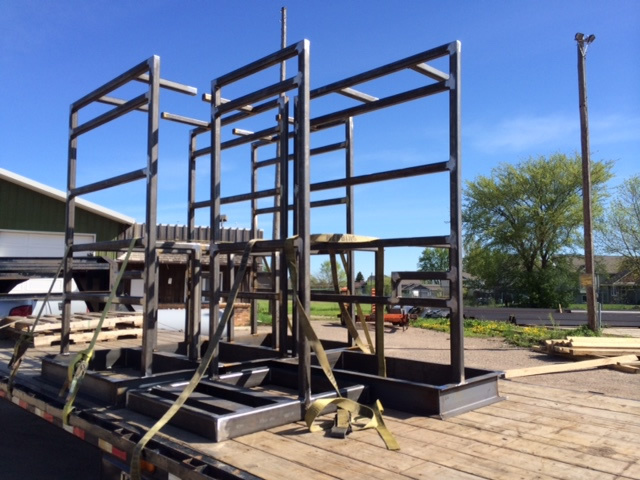 JML Fabrication has fabricated assorted structural framing for many industries, such as military, water technology, agriculture, food & beverage, production industries, and so many more. We are your one stop shop from design to finish. Container modification is not a new concept, but more companies are finding converting these containers for applications where the elements must be considered is a low cost solution. 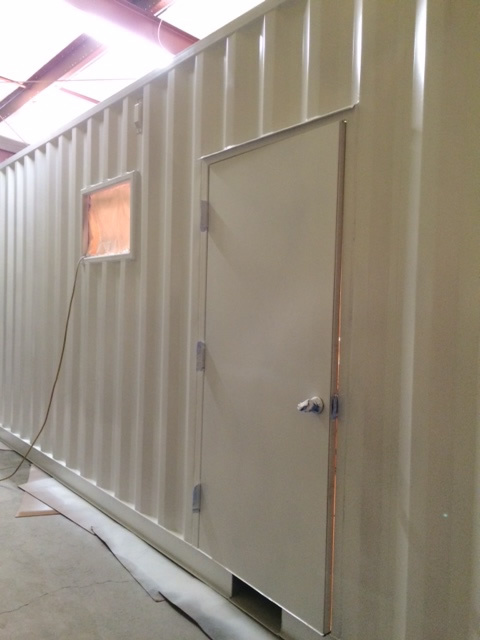 Here at JML Fabrication, we have converted several containers to add windows, doors within doors, insulated the inside, venting, sump pumps, air conditions, man doors, just about anything needed can be done. 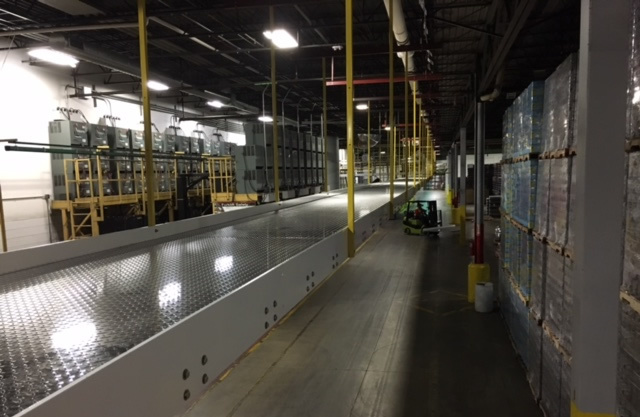 In this particular application a customer needed a walkway that would be designed to match up with current walkways located throughout the plant. 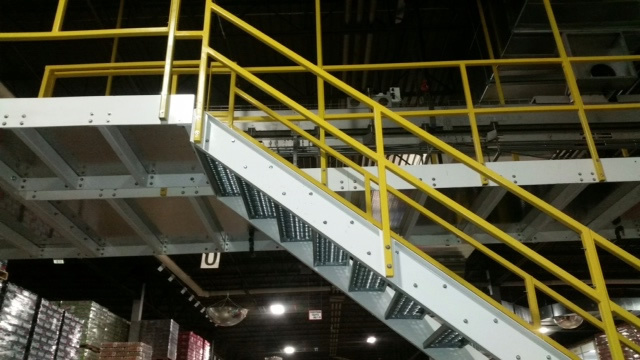 The walkway needed to suspended from the ceiling and handle a conveying system. We worked with a engineering design company to engineer the walkway, from there JML Fabrication fabricated and installed the walkway. Many of our projects are for custom projects, each one different in the material, size, finish and tolerance. 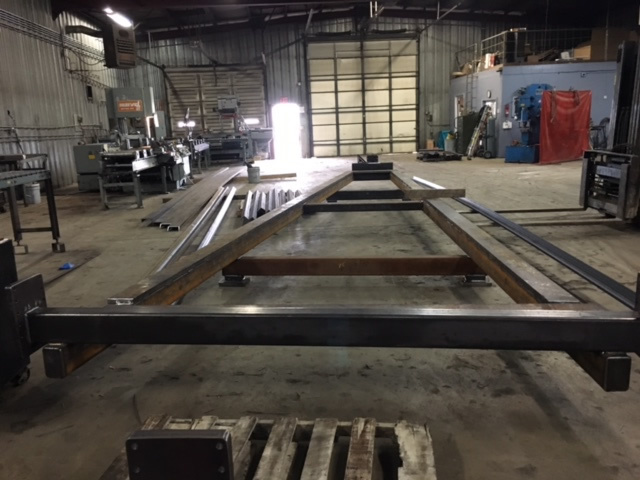 Here are examples of additional structural fabrications, one structure called for 2" plate to tube weldments on a structure over 30' long holding a tolerance of 1/16", the structure had to be heat treated and be able to hold the tolerance through this process.